"My Forte mast is fantastic. It is light and extremely strong... two gales in the Bay of Biscay and three flying gybes (thanks to autopilot malfunctions) with the spinnaker up, and each time it came through unscathed. ACADIA Once I gybed in 30 knots of wind 2 miles from the finish with a full main and broke one of the running backstays, so no backstays on downwind... no problems. " 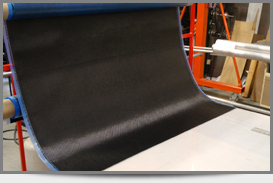 Forte uses 4 - Axis Continuous Fiber Braiding as a SUPERIOR and PREMIUM way to manufacture Carbon Fiber Tubing. Our Carbon Fiber Tubing and Carbon Fiber Products are custom built to our clients specifications. Each is unique and catered towards its use for long-lasting durability and superior crafstmanship. Forte manufactures carbon fiber tubing. 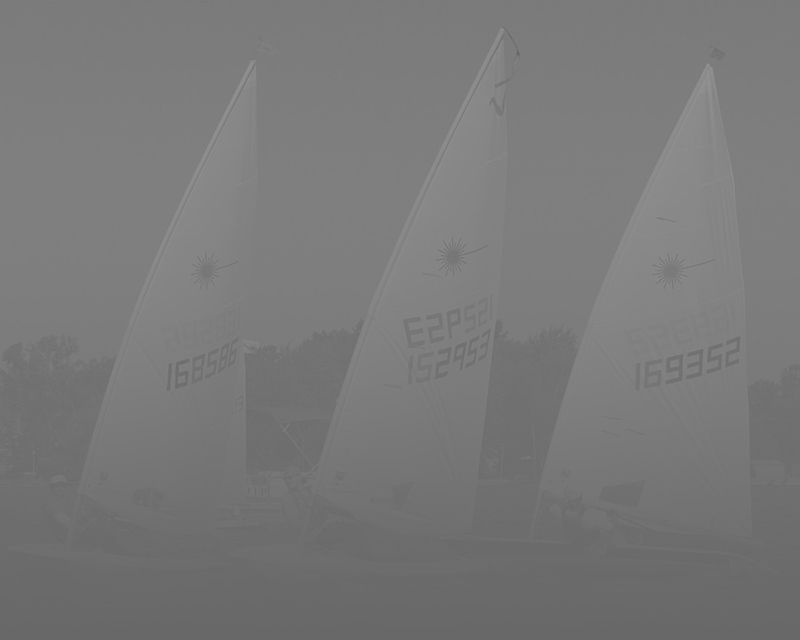 Whether its sailboat masts or military communications towers, we specialize in straight, hollow, carbon fiber structures. 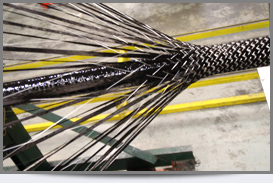 4-Axis braiding is a process in which we braid carbon fibers over a mandrel. The braiding machine stays in one place and an aluminum mandrel traverses inside of the braiding hoop. The layer of braid is then wet-out with epoxy resin at a 2nd stage in the machine. The laminate is then consolidated and cured at 280F. Braided composite structures offer extreme durability and toughness due to the interlocking fibers and no seams. If damage does occur, it does not tend to propagate within the structure. We have the ability to make some adjustments to the percentages of fiber orientation; however, it is not possible to get high percentages of +/- 45 deg. The inherent high percentage of fiber on the 0 axis makes a braided tube a very good compression or bending tube. Because the machine stays in one place and the mandrel traverses, there is no length limitation to the parts that can be built (the building length, oven length and mandrel lengths are limiting factors, but the process itself in not limited). Examples of some applications for braided tubing: Communications towers, large antenna assemblies, portable antennas, drone wing spars, aircraft structural tubing, sailboat spars, truss tubing, reinforcing tubes, spacer tubes, stiffening tubes, compression struts, GPS towers, high tension cable struts, awning support tubes, structural beams, low interference towers. Pre-preg is a great material, which consists of fibers or woven cloth pre-impregnated with epoxy resin in a semi-cured state. It amounts to rolls of sticky cloth-like material that can be rolled over a mandrel or placed in a mold. There are many different types, sizes and orientations of fiber available, allowing for endless combinations of mixing and matching material to make up a laminate. The pre-preg is then consolidated and cured at high temperature and yields a very precise fiber resin ratio. We use pre-preg for shorter length parts and short runs of parts. Pre-preg has a little better wall consistency and laminate consistency than the braiding process. We use pre-preg for torsion tubing or pressure vessels because we can get the proper off-axis fiber orientation required. 0/90 pre-preg cloth has that “carbon look” most people associate with carbon fiber. Examples of some applications for roll wrapped pre-preg: printing rollers, belt rollers, pressure vessels, optical equipment housings, measurement devise housing, military rifle forearms and hand guards, torsion tubing, down hole components, logging tool mandrels, isolation joints, small antenna assemblies, drone fuselage.